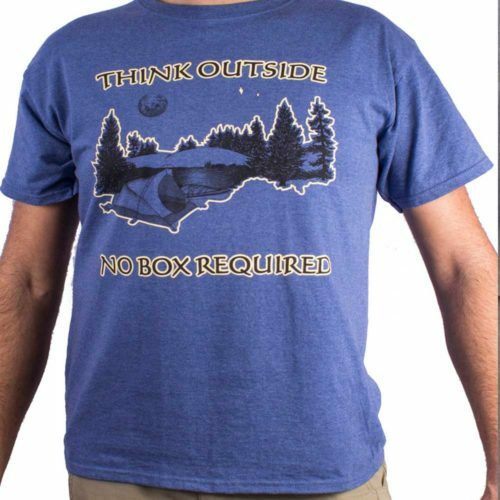 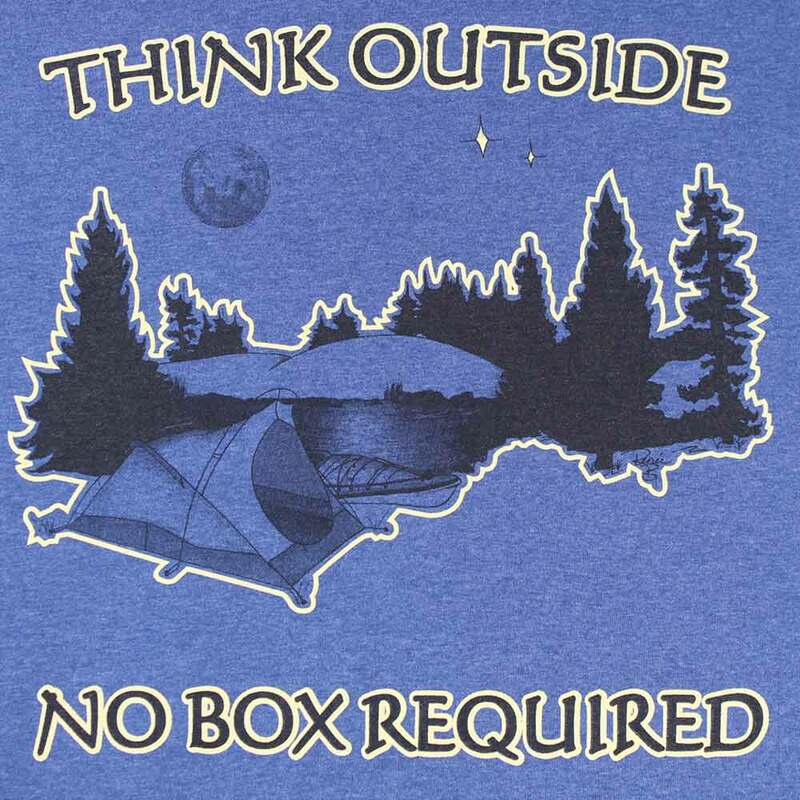 This “Think Outside – No Box Required Shirt” is the perfect Camping Shirt Design. 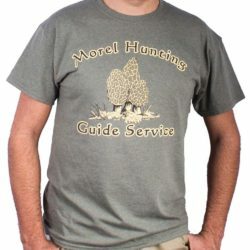 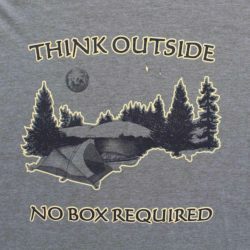 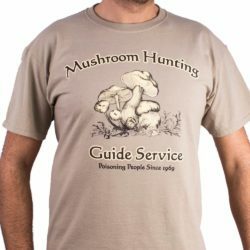 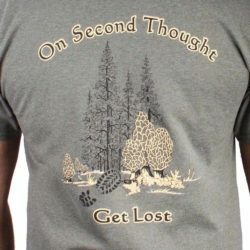 A play on famous words “Think Outside The Box” makes this awesome design into a unique camping shirt. 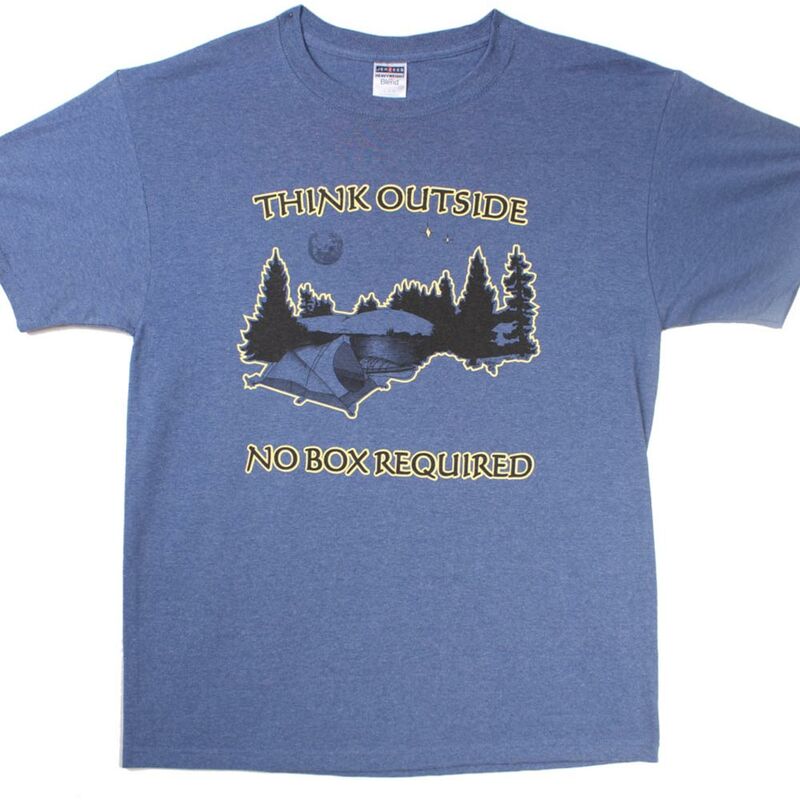 Shirt design features a tent set up in the woods, next to a lake where the kayak sits. 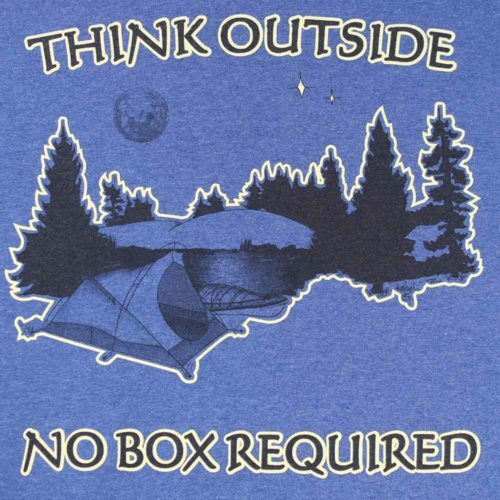 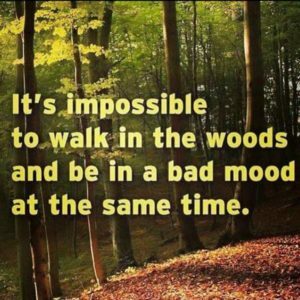 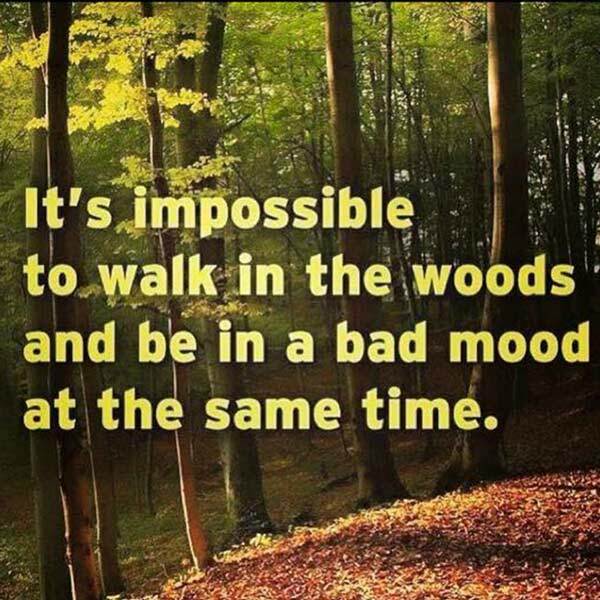 The words say- Think Outside, No Box Required. 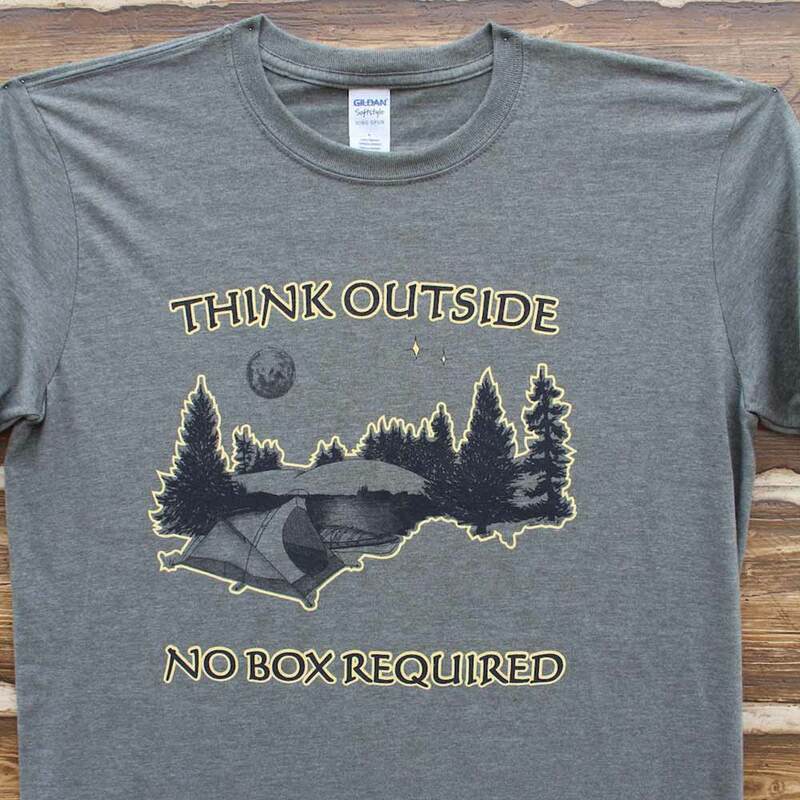 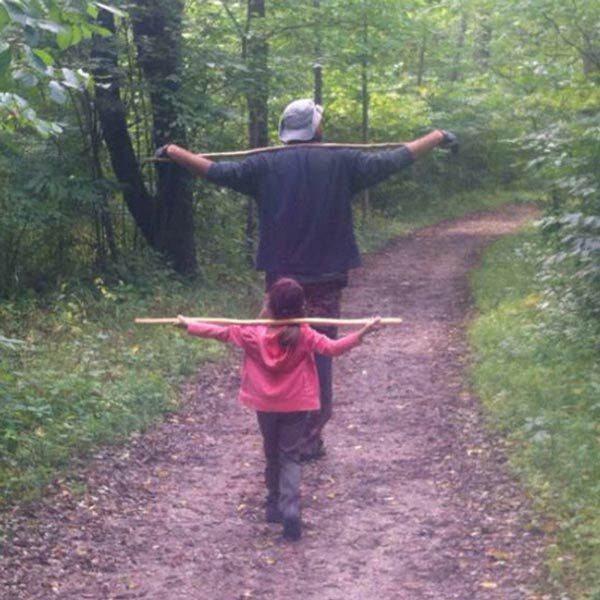 I designed this shirt because I love spending time in the nature & one of my favorite things to do is teaching everything the great outdoors have to offer to my 4 year old daughter. 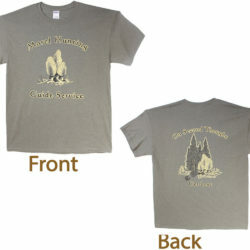 We silk screen print this design onto high quality Gildan & Jerzees. 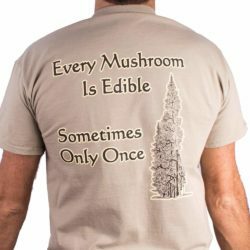 Our shirts are true to their size & they don’t shrink too much.